A circle has center “O” with coordinates (-3,2) and has a radius of 5, then which of the points will be on the circumference? Given that the points (-9,-3) and (9,3) are on a line, which of the following is also on the line? Given that the slope of is negative, the y-intercept is negative, and “a” is positive, then which of the following is true? If the lines and are parallel, then what is the value of “k”? 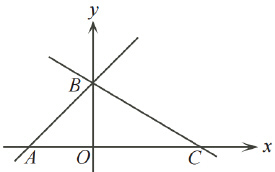 The line and intersect at the point (b,2). What is the value of “k”? 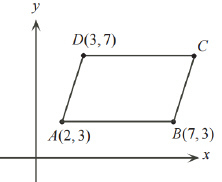 If the area of the triangle is , determine the larger value of “p”?